On the Saturday, 8 September 2018, thousands of people across 95 countries peacefully occupied public spaces and demanded real climate action from their governments. The "Rise for Climate" movement's demands were simple: 100% renewable energy. Why? For many people, this form of organised mass environmental protest is the logical response to a year of devastating climate impacts such as deadly heatwaves, droughts, fires and floods alongside a surprising lack of climate action from local leaders. These extreme weather events, which have resulted in loss of life, property, and have cost millions of dollars in damages, do not have to be inevitable. Scientists have been able to map and predict the harms that will follow if fossil fuels continue to be burned. We know what needs to be done. All that's missing is the political will necessary to do it. For this reason, dismissing scientific evidence and allowing harms against the environment can and should be understood as criminal, the same way purposeful destruction of property is a punishable offense. This type of "eco-crime" is not accidental. It is the result of arbitrary power exercised by those who have the capacity to wield it, i.e. governments and corporations. By the same token, this type of "eco-crime" is also the result of a democratic deficit. Corporate donations and lobbying have led to the fossil fuel industry's agenda receiving political support over meaningful action on climate change. In Australia, the ongoing debate over Adani's Carmichael Mine demonstrates these points. The proposed Carmichael Mine for Queensland's Galilee Basin would be one of the largest in the world, producing an estimated 40-60 million tonnes of thermal coal per year. Once this coal is burned, the Carmichael's average annual emissions will amount to 79 million tonnes of carbon dioxide. Adani and the Queensland Government predict the life span of the mine to be between 25 and 60 years. To put these figures into perspective: the annual carbon emissions of this single coal mine would be three times the average annual emissions from New Delhi; double those from Tokyo; six times that of Amsterdam; and 20% more than New York City. This massive amount of carbon dioxide must remain untouched and left in the ground. Not only are the emissions incompatible with the current international threshold of limiting global warming to two degrees, but they would also guarantee the destruction of the Great Barrier Reef. Our oceans have absorbed nearly one-third of human-produced carbon dioxide. This has resulted in a more acidic ocean chemistry and subsequent coral bleaching. Adding a further 79 million tonnes of CO2 into the atmosphere annually would threaten thousands of species that rely on the Reef; not to mention the $6.4 billion in tourism revenue and 64,000 full- time jobs the Great Barrier Reef provides to Australia. To make matters worse, the environmental impacts of the Carmichael Mine are not limited to climate change: It also threatens a number of endangered species living on the proposed mine site, would sterilise fertile cropland, and would use up billions of litres of water currently relied on by local populations. 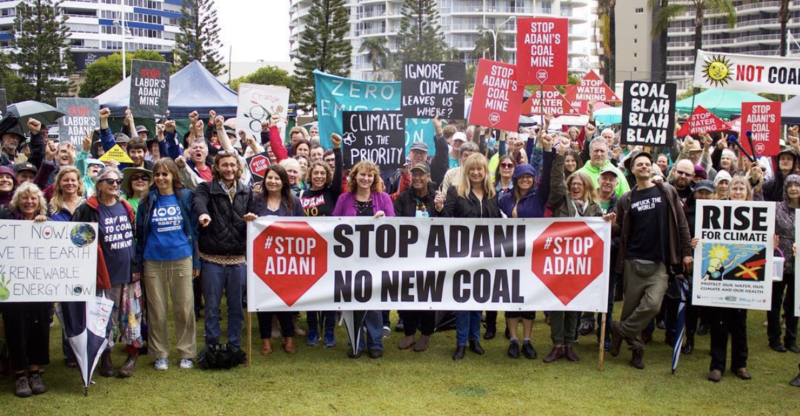 Because of those facts, the people-powered movement against Adani and the Carmichael Mine is the biggest mass protest in Australian history. The Wangan and Jagalingou People, whose land the mine would destroy, disapprove of the mine. The majority of Australians disapprove of the mine. 9 out of 10 Australians want our government to tackle climate change. Yet, despite all of this, Adani has not yet been told "no". On the contrary, Adani has been continuously supported by the Queensland and Federal governments. The Federal Government has even considered funding the mine. The approvals have been granted, through the country's existing environmental legislation and mining approvals processes. These contradictions raise two important questions: If Australian citizens disapprove of the Carmichael Mine, why are those who are elected to represent Australian citizens supporting it? And, if we know the Mine promises devastating harms to the Earth, how have our environmental laws – which were established to protect the environment – allowed for the mine to be approved? In short, the Carmichael Mine has been given consideration because of shortcomings in our democracy. Lawsuits have been filed against individual citizens and environmental groups for speaking out against corporations and exercising their democratic rights to organise, petition and engage in peaceful demonstration. Environmental groups who have challenged the government's approval of the Carmichael Mine have been accused of "vigilante litigation" and, in one case, the legislation that allowed Adani to be taken to court was threatened to be changed. Meanwhile, unregulated and private transfers of money from the pockets of lobbyists, special interest groups, and corporations have bought politicians' support for the Carmichael Mine. The revolving door between working for fossil fuel corporations and as government advisors have also made the mine a possibility. Then there is the issue of environmental laws that inadequately protect endangered species and ecosystems and do not prevent new contributions to climate change. Australia's Environmental Protection and Biodiversity Conservation Act (1999), for example, contains loopholes regarding the classification of emissions and impacts that have allowed the Carmichael Mine to be considered at a time of record-level global warming. There is a lot of work to be done in order to safeguard our democracy: The right to protest and speak out against government decisions or dangerous corporate activities must be protected. The rules of political lobbying need to be reformed. Stronger laws around the disclosure of campaign financing and political party donations are needed. Our environmental legislation needs to be updated so it can do what it's supposed to do. But with the increase in global awareness surrounding climate change, there is hope. One potential solution lies in the concept of "Ecocide" – the extensive damage to, or destruction of, the natural environment by human agency. The concept emerged after the Vietnam War, when the use of Agent Orange brought the international community together to ban the purposeful destruction of the environment in warfare. While no such crime exists during peacetime, there has been a movement to make Ecocide the fifth Crime Against Peace within the jurisdiction of the International Criminal Court. A crime of Ecocide would legally force governments and businesses to make decisions that put people and the Earth first. 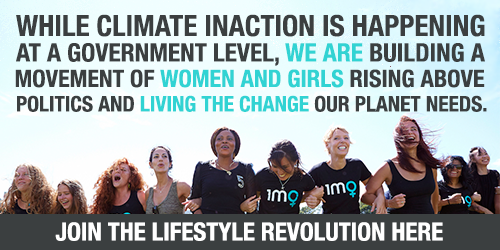 Those with the power to make judgments that affect our planet would finally be held accountable. This won't be easy. Powerful elites want legislation that operates in their favour. However, Ecocide law can also be implemented at a local level. 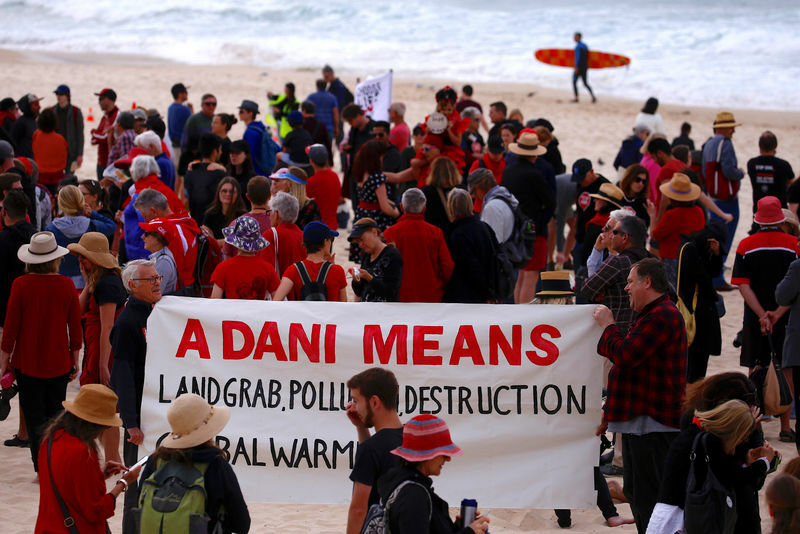 As we've seen, mass demonstrations, public critique, and persistent legal action have halted the Carmichael Mine thus far, with factions of the political elite unable to ignore the demands of their constituents. This proves that persistence – and creativity – is key in environmental protection. Voting for representatives that commit to acting on climate change will close the gap between what the public wants and how the government acts. It is through democratic process that we will achieve a government for the people, by the people. Olivia Hasler is a criminology PhD candidate at the University of Tasmania. She has recently completed a major study of the Adani Carmichael Mine as a case of state- corporate crime and ecocide. In recent work she has written about environmental activism and the state for journals such as Critical Criminology, reflecting her strong interest in social and ecological justice. You can follow her on Twitter at @HaslerOlivia.